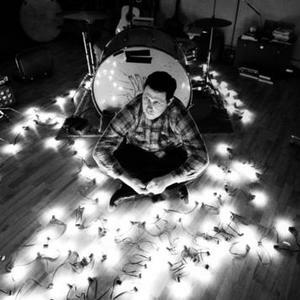 Damien Jurado is a singer-songwriter in the indie-rock tradition of Seattle, Washington. His music is regarded as being heavily influenced by folk music. Over the years he has released albums on many labels; today his primary label is Secretly Canadian. He was once in the band, Coolidge, with Seattle's David Bazan. He often makes use of found sound and field recording techniques, and has experimented with different forms of tape recordings. He often makes use of found sound and field recording techniques, and has experimented with different forms of tape recordings. In 2000 he released Postcards and Audio Letters, a collection of found audio letters and fragments that he had found from sources such as thrift store tape players and answering machines. Also released in 2000 was Ghost of David,, Jurado's bleakest and most personal sounding record to date. I Break Chairs, (2002) was produced by long time friend, David Bazan. It was his last album for Sub Pop, and was a much rockier, electric affair. After signing for the Indiana-based label Secretly Canadian, Damien Jurado reverted to his trademark folk ballad-based style, releasing four more albums: Where Shall You Take Me?, (2003), On My Way to Absence,, (2005) And Now That I'm In Your Shadow, (2006) and Caught In The Trees, (2008).